This experiments deals with music visualization. The goal was to create as many concentric circles with radius and different color that represented a specific musical frequency, from the lowest frequency (radius = 0, color = blue) at the highest frequency (radius=k, color = yellow), each pixel is connected to an element of the vector resulting from the FFT. At the end the alpha and the color were assigned in the CUDA kernel depending on the speed and position. 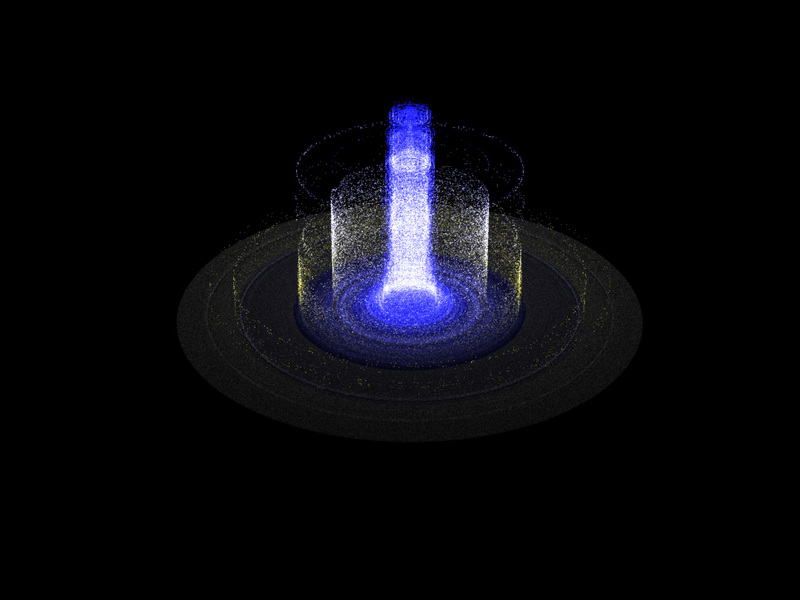 With this, you can watch a fountain of particles reacting to music. This entry was posted in Experiments and tagged .NET, Application, C#, CUDA, FFT, Kernel, Music, Particles, Real-time, Sound, Visualization. Bookmark the permalink.